We all have our favorite e-learning tools we use (I of course am partial to Atrixware e-learning tools, and I suppose everyone has their own favorite brand). Maybe its something fresh and new, or maybe its something so old that you take extra steps to make sure it works every time you get a new PC. However, today I want to appeal to you adventurous side, and suggest to you some useful (and free) e-learning tools you may want to try out for size. You just might find that one or two of these are a nice compliment (or maybe even a replacement) to your existing tools. I tried hard to pick things that do not typically make a list like this (if you are already working with e-learning, chances are that you already know about the ‘big-name’ freebies out there). This list is purposely made up of smaller and lesser-known gems that you probably have not heard of or considered for your e-learning projects. Just about everyone creates presentations of some kind (mostly in PowerPoint). Problem is, delivering them online is not as easy as it should be. You can of course convert your PowerPoint into Flash (there are several online platforms that do this for you too), but lets face it, Flash is dead — Apple mobile devices don’t support it, and Adobe is not going to develop it any longer for Android. So slidepoint.net is a free online presentation platform that lets you both upload PowerPoints, or create your own presentations using the online editor (which is very similar to PowerPoint). The key is, its 100% HTML, not Flash, so it works everywhere! They have made it easy to embed your presentations into your own e-learning offerings as well (so embedding on to your website, online courses, etc, is very easy). Check it out at www.slidepoint.net. Need a good screenshot? 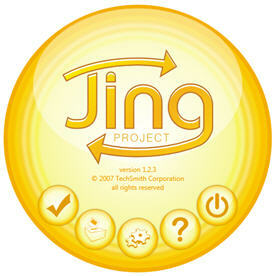 The check out Jing! Another free tool (there are paid versions as well), with Jing you can grab the image, edit it to your heart’s content and share away with just a few quick clicks. This one is software you install on your computer, but it is available for both Mac and PC, so no worries. There are soooo many quiz maker programs around. Every one of them has their plusses and minuses, but for quick and easy quiz delivery that looks great, is easy to use, and ‘just works’, check out Online Quiz Maker. There are both free and paid versions for this tool. It has all of the essentials you will need for online quizzes (and a few nice extras like certificates, nice visual configuration abilities). I presume you have heard of Google Docs, but maybe have not connected the dots as to why it could be useful for you relating to e-learning? When you need a highly accessible global platform to share information, in my opinion nothing beats Google Docs. The use of this program is two fold. First, it is fantastic for collaboration. Have more than one person working on a project? Then this is the place to go! You have full control over who has access to the information as well as what level of permission they have. What them to just be able to read it? No problem. Giving them the freedom to make changes? You can do that too. Then, once you have things finished up and ready to go you can share your presentation with your students with nothing more than an email. Also, Google Docs is a great meeting place for your students. You can set up a free place for them to do project work where you can always stay on top of their progress. And that rounds out my list! As I said I hope that you found something new worth trying. And, if you have anything to add, I’d love to hear about it. Who knows? It might just make the list next time. Looking for a Better, Easier & More Affordable LMS? The Atrixware Weblearning LMS is a powerful, budget-friendly, easy-to-use Online E-Learning System for authoring, managing, and tracking online learning and training. You can read the brochure, or to try it FREE, go to the Weblearning LMS Sign-up Form. 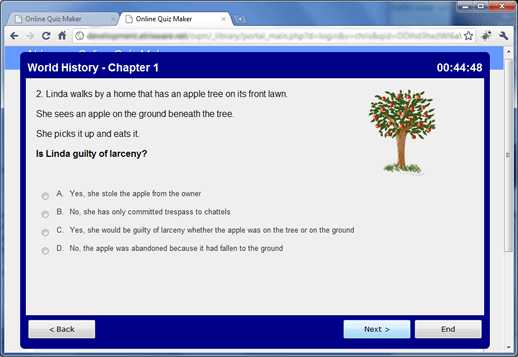 This entry was posted on Wednesday, February 1st, 2012 at 10:38 am	and is filed under ELearning 101, Online Quiz Maker. You can leave a response, or trackback from your own site.